This week I attended a workshop on Languages and Education in Indigenous Australia, hosted by the Centre of Excellence for the Dynamics of Language at ANU. It was an interesting counterpoint to the previous week’s event hosted by First Languages Australia in Adelaide, which focused on the implementation of the draft framework for Aboriginal and Torres Strait Islander Languages in the Australian Curriculum and what was happening in various contexts. The Canberra event looked at language acquisition in Indigenous contexts more broadly, including children learning English and contacts languages as well as their own language. We heard presentations from a number of CoEDL researchers, including work on individual differences in language development, the role of symbolic play in language acquisition, some research into first language acquisition in Papua New Guinea, and the role of prosody and other phonological features in language acquisition in Malay and Barunga Kriol. We heard about projects in communities such as Wadeye and Kukatja where English is not spoken much outside the classroom, and in communities such as Jilkminggan and Gunnedah where traditional languages are no longer strong. We explored some of the challenges inherent in language revival programs, the role of Indigenous language in the Maths classroom, the effects of otitis media on Indigenous children’s language acquisition, how print literacy may impact learning Standard Australian English, the impact on children in remote Indigenous communities of NAPLAN testing and English language assessment more generally, and the ‘affordances’ of language programs in the context of the Australian Curriculum. It was also interesting to hear about some contexts that don’t neatly fit into general approaches to language acquisition, such as the complex linguistic ecology of communities where neither Standard English nor traditional languages are spoken or taught, and what that means for contact languages such as Kriol, and literacy practices outside of the school in endangered language communities. A public event gave opportunities to share about wonderful work on the Warlpiri theme cycle and the investments in education made in Warlpiri communities, then discussion and demonstration of some language apps for Indigenous languages. 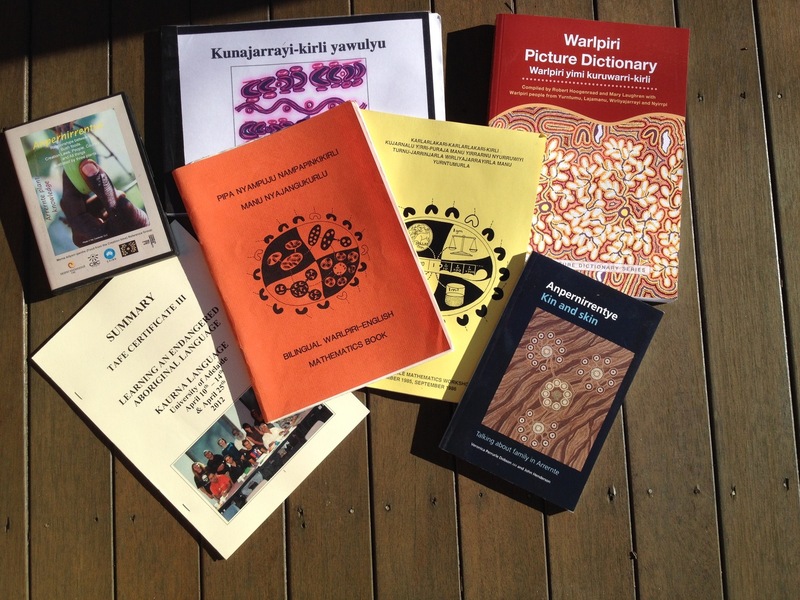 These included community involvement in the development of Memrise for languages of Tennant Creek, and making short videos using Powtoon for Gamilaraay, some other potentially useful game apps, innovative means of testing phonological awareness in Yolngu Matha, and the incredible work that’s gone into the creation of the world’s first Australian indigenous language app Tjinari in Ngaanyatjarra. CoEDL has a wealth of experience in its researchers and projects, and can play an important role in this space. It was great to network with so many keen and interesting researchers, and we look forward to seeing where this discussion takes us next. This entry was posted in Academic, Activities and tagged CoEDL, education, engagement, Indigenous, languages on November 9, 2016 by Cathy Bow. For the last two days I’ve been attending the First Languages Australia National Indigenous Languages Teaching and Employment Forum in Adelaide. Around 100 people gathered from all around Australia to share ideas about this important topic. The schedule moved from ‘big picture’ to local activities, starting with a presentation from ACARA about the national framework for Indigenous languages in the Australian Curriculum. Having established the framework, it’s now up to the different jurisdictions and schools to work out how to implement it. The framework aims to be inclusive but also deliberately generic, to allow for the many different contexts in which it will be implemented. Examples of implementation will be posted to the ACARA website. Following a presentation about the function and purpose of First Languages Australia, presentations from each state or territory (except Tasmania) gave an overview of some of the activities, opportunities and challenges in each location. It was noted that the publication of the framework “has been a game changer for Indigenous languages in schools,” and each state is implementing it in different ways according to their populations and existing curricula. The value of language as a tool for social, cultural and economic development, including workforce development was highlighted, as well as the importance of community engagement in language programs. On the second morning, we heard from school programs doing interesting and important things, and some of the challenges they face. Longstanding programs such as mother tongue education in the APY Lands, newer ones such as the Lurra program in several languages in Maningrida (where the point was made that learning in language gave the children a chance to be successful where they might struggle in English), Warlpiri and Anmatyerr in TiTree, efforts in Broome to create 20 fluent speakers of Yawuru in the next five years, Arrernte teching in Ltyentye Apurte, the strong history of language at Yipirinya School, and the challenges facing Indigenous language teachers in WA. who will teach these languages? who will fund the great ideas? how can teachers be recognised and supported when their numbers are so small? The value of events such as this is in bringing together groups of people with similar interests but working in very different contexts. The specifics are very diverse, but the challenges are just as vast. From languages with no speakers being revived from documents, to highly multilingual communities struggling to learn via English, the common thread was that each community was committed to passing on their knowledge to the next generation. Besides the important issues discussed from the front, the support and encouragement felt among all attendees was very encouraging. In the many conversations during breaks, connections were renewed, relationships created, ideas shared, notes compared, resources shown, contact details swapped, stories told, and support demonstrated. People involve in teaching Indigenous languages can sometimes feel isolated and disconnected from support networks, so opportunities such as this are invaluable for connecting people and reminding everyone that they’re not alone, and that what they’re doing is important and valuable. Thanks to Faith and the staff at First Languages Australia for bringing this group together, and to Karina and Simone for keeping it moving, and to everyone for being willing to share and support. This entry was posted in Activities and tagged education, Indigenous, languages, teacher on November 5, 2016 by Cathy Bow. The Broadband for the Bush Alliance brings together stakeholders from around Australia for research and advocacy for broadband and telecommunications infrastructure and access in remote communities. A media release produced after the conference summarises the main ideas discussed, focusing on the infrastructure issues that means that some communities are excluded from the digital world due to access issues. The Indigenous Focus Day was a particular highlight, as it enabled Indigenous and non-Indigenous people to discuss the issues that affect their communities. The four streams – affordability, accessibility, awareness and appropriateness – included short presentations from communities presenting both challenges and ideas. They demonstrated how Indigenous people are engaging with technology in interesting ways, particularly for connection to family, culture and language. It was excellent to see the focus on solutions rather than just the problems – the challenge is to get these proposals to the organisations and people that can make them happen. Another issue identified is the lack of research into how access (or lack of it) affects communities – for example school attendance or workforce development? I had some good chats with people about the Living Archive project, many people hadn’t heard of it and were interested in seeing the resources, and had some good suggestions about other things we could do. I was especially pleased to meet the IRCA mob, who are doing great things with remote media and communications, and with those working in Indigenous Digital Excellence as part of the NCIE, who are “strengthening Indigenous participation, practice and entrepreneurship in the digital economy.” The forum was accompanied by an interesting Twitter feed as people engaged with the issues using the #bushbroadband. 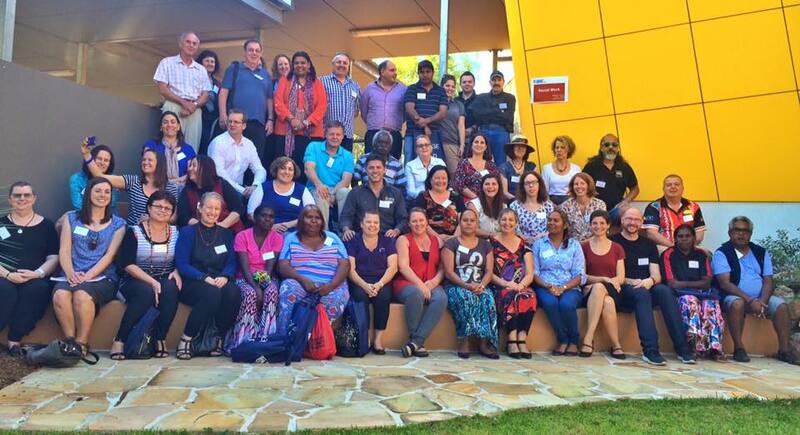 Participants at the Indigenous Focus Day for the Broadband for the Bush Forum at CDU. This entry was posted in Activities and tagged access, broadband, Indigenous on July 20, 2015 by Cathy Bow. 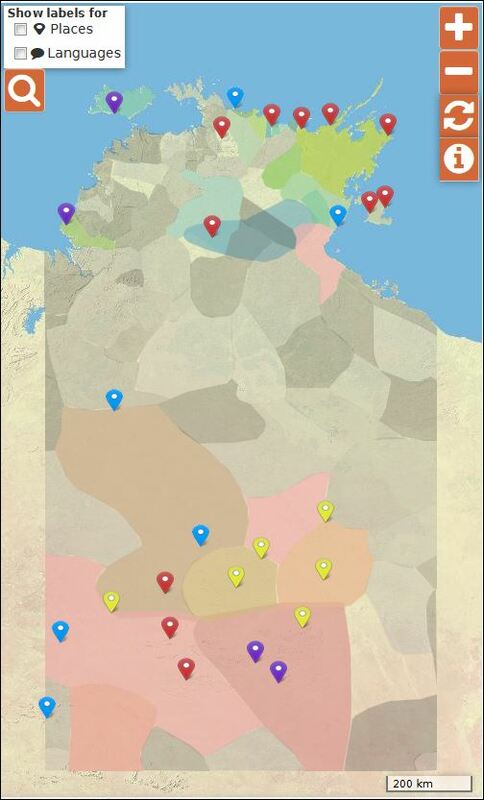 Attitudes and policies relating to Australian Indigenous languages are in a state of flux. The Northern Territory government is reportedly again aiming to banish Aboriginal languages from the classroom. But there’s good news too: the Australian Research Council has approved a second round of funding for the Living Archive of Aboriginal Languages, which is being launched today in Darwin. 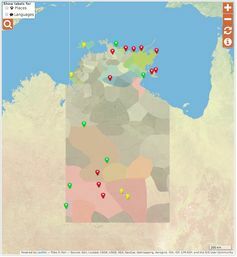 The Living Archive is a digital collection of materials in Australian Indigenous languages from around the Northern Territory. 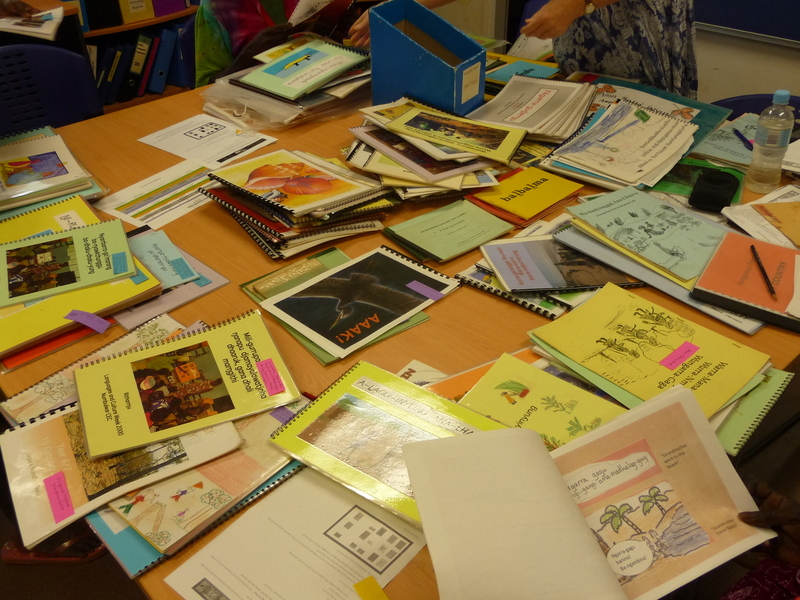 Most of the current collection was produced by Literature Production Centres at schools with bilingual programs over several decades from 1973. The resources housed in the Living Archive of Aboriginal Languages include educational materials for children. The beautifully illustrated books include stories of creation, contact history, traditional practices, cautionary tales, humorous incidents in daily life, environmental knowledge, bush medicine, pedagogical readers, and many other genres. They contain fine examples of people transforming high oral literature into written literature. With the demise of bilingual education, the books faced an uncertain future. In some cases they had been carefully catalogued and stored in the schools; in others they were carelessly thrown into dusty storerooms. In the worst cases, boxes of books had already been destroyed. Visits to the communities by project staff involved sorting through piles of dusty books, identifying the best copies for scanning, and talking with community members about the project. 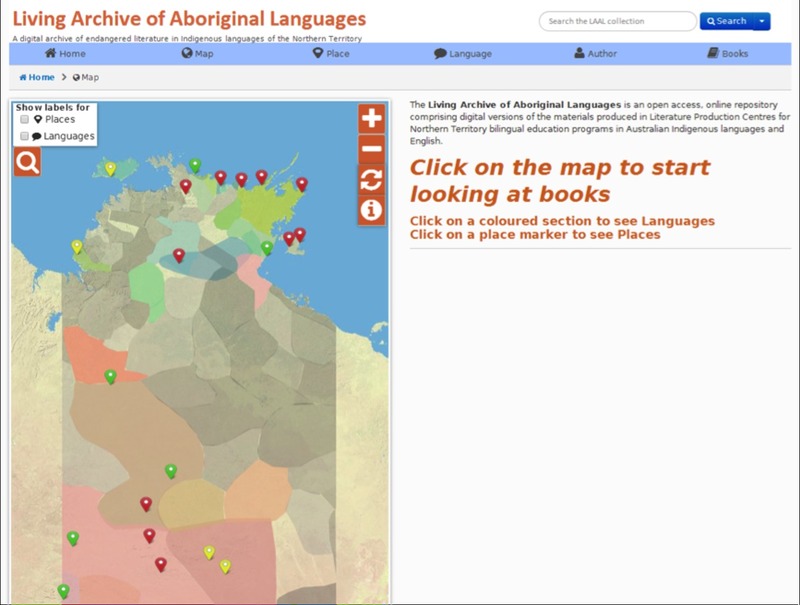 The Living Archive of Aboriginal Languages is a resource that will help all Australians better understand our linguistic heritage. Each contributor (author, illustrator, translator, etc) named in a book was sought out (or family members of those who had passed away) and invited to give permission for their materials to be digitised and uploaded to a public website. Most people were pleased to see these resources being valued and given a new life in the digital environment. The second stage, now underway with additional partners, aims to expand the collection beyond its bilingual education origins to uncover other texts in endangered NT languages, as well as engaging community members, academics and schools in using and enhancing the collection. The area covered by the archive. Designed in part as academic research infrastructure, the Living Archive’s overarching aim is the mobilisation of language work intergenerationally and interculturally. It will reach schools, remote communities, and beyond – and reopen questions about the role of Australian languages in our wider collective Australian life. Access to online vernacular language materials is becoming easier – and the Living Archive will be a valuable addition to resources for educators. The Australian Curriculum framework explicitly encourages the use of such materials in educational settings. In spite of this, the latest report to the NT government recommends an English-only approach in bush schools. This flies in the face of research pointing to the effectiveness of planned and informed use of home language and English in the classroom in developing listening, speaking, reading and writing of both home language and English. While waiting for the next policy decision, community-level support for vernacular languages in schools continues. The policies that oppose giving home languages a central place in the education of young speakers look like a reaction to top-down pressure to improve the English literacy and numeracy results of young children in very remote Aboriginal communities on the national testing regime (NAPLAN). Accelerating the development of these competencies seems to trump the benefits of mother-tongue education every time. But at what cost? The launch of the Living Archive, with its focus on collaborations between researchers and language owners, sheds light on the efforts being undertaken in many places to keep languages alive for future generations. 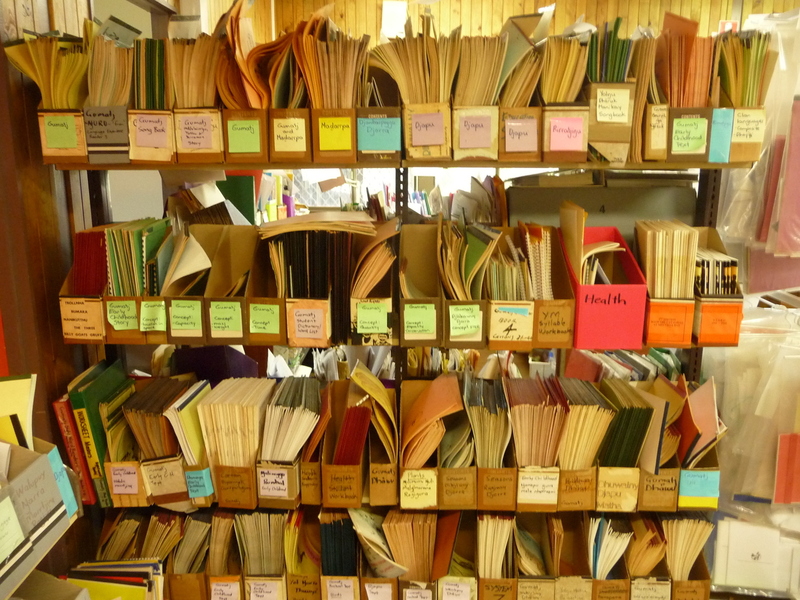 Shelves of documents from the Yirrkala community in north-east Arnhem land. The archive helps us understand how these languages reflect and produce a uniquely Australian knowledge of our history, our place, our relation to the land, our understanding of environments and seasons, the work for example of fire ecology, and our health in body and spirit. English has not evolved to make and do Australian life in the way Australian languages have. As more and more obscure texts in endangered languages are identified and uploaded to the archive, people in Australia and beyond can continue to engage with this rich cultural heritage. 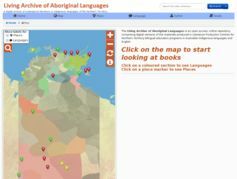 Visit the Living Archive of Aboriginal Languages here. Michael Christie receives funding from the Australian Research Council. Dr Brian Devlin works for Charles Darwin University, which is a partner in the Living Archive Project, funded by the Australian Research Council. He is a member of the Future Party (http://futureparty.org.au/) and the National Tertiary Education Union. He occasionally volunteers some of his time to the Friends of Bilingual Learning (http://www.fobl.net.au/), the Australian Human Rights Commission and UNESCO. Cathy Bow receives funding from the Australian Research Council. This entry was posted in Media and tagged Conversation, Indigenous, languages, launch on April 7, 2014 by Cathy Bow.